Until 50 years ago, if you didn't have one foot on the ground when your served, it would have been a fault. These days, so long as you don't take a flying leap into your serve action, at least you don't have to worry about having your feet off the ground. So what is a foot fault? First, don't assume you necessarily know. British referee James Keothavong had to come down from his chair to explain the finer points of the foot fault to Nick Kyrgrios at last year's Wimbledon, and of course numerous players - famously Serena Williams in the 2009 US Open final against Kim Clijsters - have been called up by officials for breaking the rule. 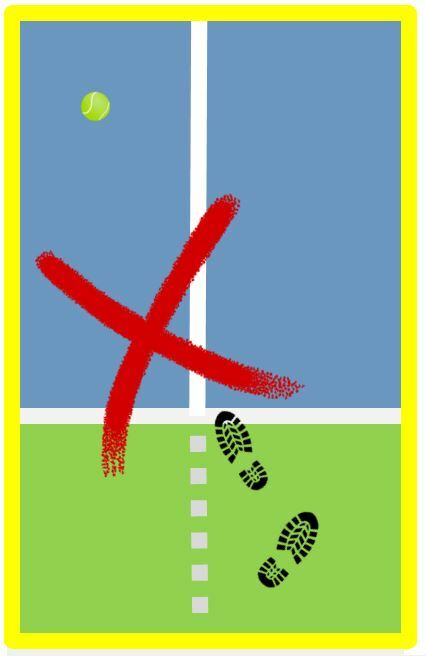 Essentially, you are not allowed to touch any of the court or the lines with your foot before your racket hits the ball. 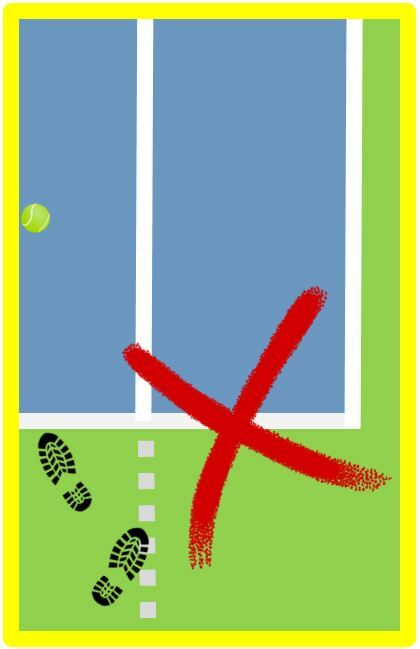 This includes the centre line (and its invisible extension outside the court). How to point out the error? 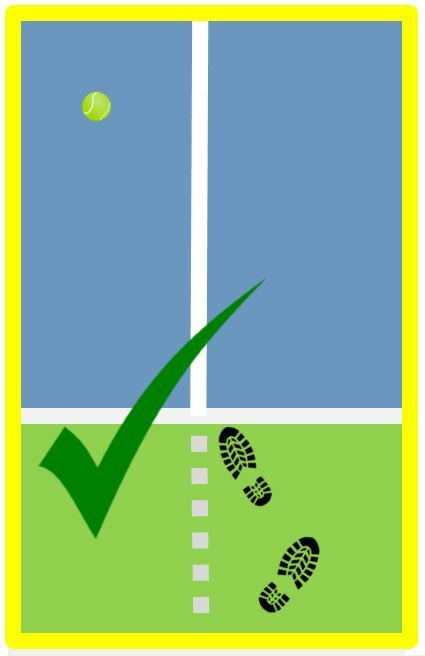 In a Local Tennis League match, with no referee, who calls a foot fault? In simple terms, if it is a singles match, and you think your opponent is repeatedly and flagrantly foot-faulting, the limit of what you can expect to do is to politely point out the error (you cannot claim a point!). With luck, your opponent will realise and correct the problem. If the error continues, you will have to live with it - the chances are that your opponent won't gain an actual advantage from their indisciplined play. If so little can be done, why bother with the rule? 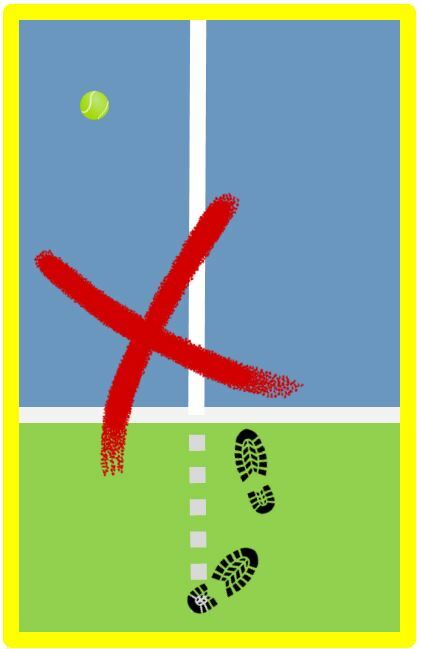 Apart of course from the problem that foot-faulting is against the rules, serving correctly is all about tennis mindfulness. Just as you should always know where you are serving to, so you should always make the effort to serve correctly and understand where you are serving from. For some pros, this can involve elaborate serving rituals, including multi-bouncing of the ball prior to the service. But for all of us, it means knowing where your feet are and not overstepping the mark.